I've had Oyin Handmade's Hair Dew since August or October of 2011 so I've had a good amount of time to really test the product, and I love it. If you haven't noticed already, it's on my HG List. Click the link to check out what else is on the list. Hair Dew is a light leave-in suitable for daily use. Oyin Handmade compares it to "old school hair moisturizers" but with ingredients that are "actually good for your hair." I agree! The feel isn't as oily as your Luster's Pink Lotion or ORS Olive Oil Moisturizer, though; it is truly a moisturizer. It's glycerin free so most likely will work well in various dew points. Ingredients: purified water, castor oil, olive oil, organic aloe vera gel, behentrimonium methosulfate (emulsifier), coconut oil, olive squalane, optiphen (preservative), cetyl alcohol, fragrance, and love! I mainly use this as a refresher for fluffing or moisturizing nightly. I use it as a leave-in also. I have occasionally used it while styling and sealed with Oyin Handmade's Burnt Sugar Pomade. These work very well together and have the same "burnt sugar" fragrance, which I love. Hair Dew also works as a leave-in for wash& go's. I tried it with Curl Junkie Pattern Pusha and was able to get 2nd day hair for the first time with this gel. 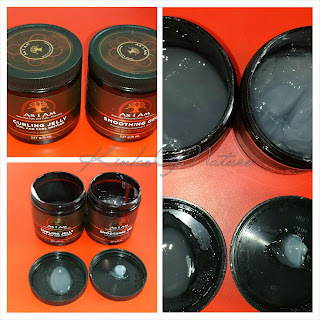 If you've been following my blog, you know I have been having some difficulty getting this gel to work for me, even with other CJ products. So when it worked with Hair Dew, I was pleasantly surprised. Oyin Handmade Hair Dew retails for $13 (8.4oz), $20 (16.9oz), and $34 (33oz). 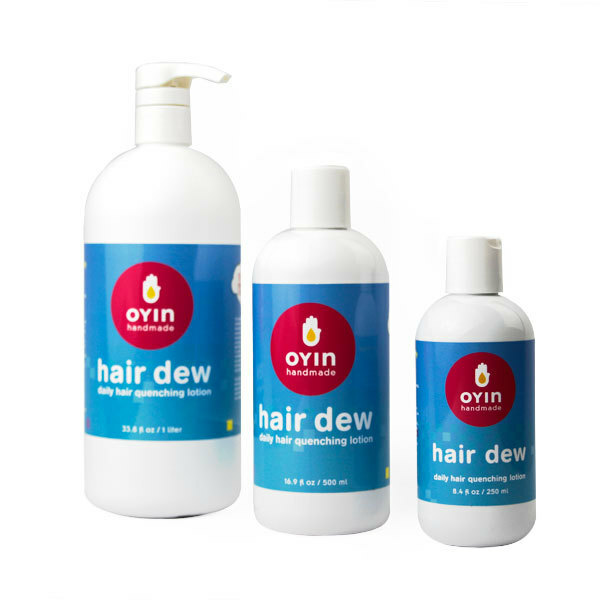 It can be purchased at the Oyin Handmade site and store, CurlMart, and other select retailers. Would I repurchase? : I will definitely be repurchasing as long as the formulation remains the same.